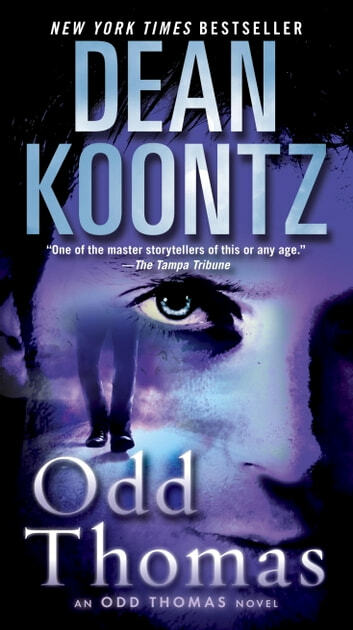 Meet Odd Thomas, the unassuming young hero of Dean Koontz’s dazzling New York Times bestseller, a gallant sentinel at the crossroads of life and death who offers up his heart in these pages and will forever capture yours. A stranger comes to Pico Mundo, accompanied by a horde of hyena-like shades who herald an imminent catastrophe. Aided by his soul mate, Stormy Llewellyn, and an unlikely community of allies that includes the King of Rock ’n’ Roll, Odd will race against time to thwart the gathering evil. His account of these shattering hours, in which past and present, fate and destiny, converge, is a testament by which to live—an unforgettable fable for our time destined to rank among Dean Koontz’s most enduring works. ean Koontz never disappoints. His stories are thrilling, exciting, gasp-out-loud shocking, and always humorous. 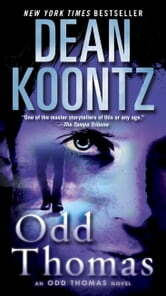 Odd Thomas is one of his very best characters. Well written and I love the story line. The main character is lovable. I love the whole series. This is a fantastic read. I just couldn't put it down. Solid read by itself, and a great series. Couldn't put it down. Was taken by surprise of the ending. I enjoyed this book from cover to cover... Now I have to read the next three in the series. I read this in one day! !